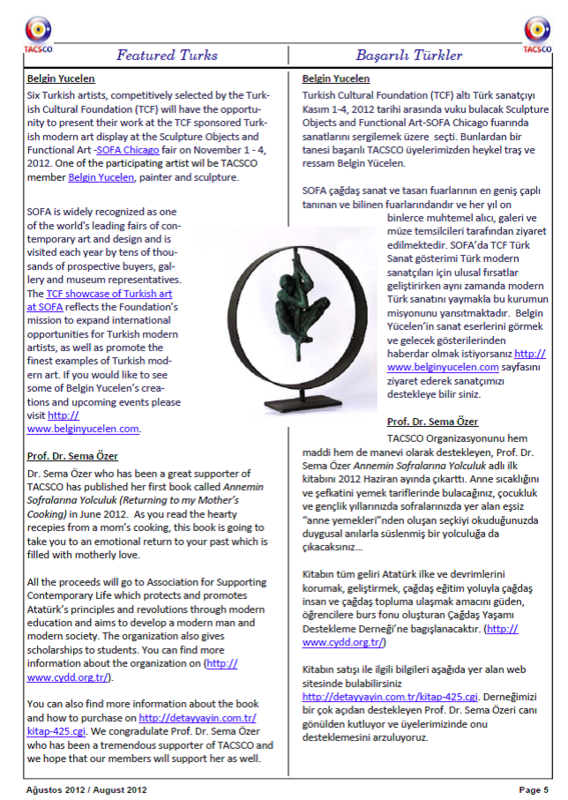 Belgin Yucelen and six Turkish artists, competitively selected by the Turkish Cultural Foundation (TCF) will have the opportunity to present their work at the TCF sponsored Turkish modern art display at the Sculpture Objects and Functional Art ‐SOFA Chicago fair on November 1 ‐ 4, 2012. 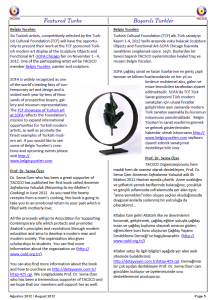 One of the participating artist wil be TACSCO member Belgin Yucelen, painter and sculpture. visited each year by tens of thousands of prospective buyers, gallery and museum representatives. art. If you would like to see some of Belgin Yucelen’s creations and upcoming events please visit https://www.belginyucelen.com.